A catalog for igus®' lines of iglide® plastic plain bearings, igubal® spherical bearings, and DryLin® linear bearings and guides is available. The most recent edition features a new table of contents, a selection-according-to-industry section, and a number of new product lines. Some of the new products include iglide® X6 plastic plain bearings for high-temperature applications, iglide® piston rings: drop-in, easy-to-assemble replacements for traditional PTFE bearing solutions, and DryLin® leadscrew tables with a specially designed quick-release mechanism. Once a technology reserved for prototyping test parts, high-end equipment from EOS now produces custom designs that defy the limits of traditional manufacturing. Software-assurance techniques once developed for Missile Defense Agency's (MDA) computer systems are now helping NASA’s Jet Propulsion Laboratory engineers to create Mars exploration systems and the Food and Drug Administration to find glitches in medical device software. Electronic circuitry composed of nanowires can now be fitted to a surface of almost any shape on an object made of virtually any material, using a new approach to fabrication and transfer of nanowire electronics developed by Stanford researchers. Thinking about buying a new plug-in vehicle? You may want to check the size of its battery first. What can’t you do with Smalley retaining rings and snap rings? The company has put a lot of effort into the visuals to demonstrate some 23 user applications for its Spirolox retaining, constant section, and wave spring rings – and we all know how visual engineers are. What about in a slip clutch, an actuator valve, a right-angle gear, or a rotary union? How about in a pneumatic fitting, a hip replacement, or even to hold glass panels in the Louvre pyramid? If you have an unusual application challenge, Smalley can help. Obviously, they've just about seen it all. See all that you can do with Smalley retaining rings. Want a 20% increase in throughput on your machines? Who wouldn't? DryLin plastic bearings from igus, used instead of regular ball bearings, have delivered just that. Researchers at the Georgia Institute of Technology have developed a prototype wireless sensor capable of detecting trace amounts of a key ingredient found in many explosives. The device is printed on paper or paper-like material using standard inkjet technology. Microscopic cells are helping to save weight, and ultimately fuel, in Ford vehicles, starting with the instrument panel of the all-new Escape. SpaceMouse Pro is the newest 3D mouse for professional 3D software users. This unit combines 3Dconnexion’s patented six-degrees-of-freedom sensor for intuitive and precise 3D navigation with an advanced ergonomic design and innovative on-screen display. 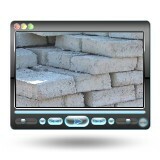 Five QuickView keys offer one-touch access to 12 view combinations. Four large, fully customizable Intelligent Function Keys provide fingertip access to frequently used application commands. And that’s just for starters. It’s not too late to ask Santa for one of these. PC only. Kablooe Design has worked with some of the nation's largest medical technology companies creating prototypes for medical devices that have changed the way patients are treated, significantly improving quality of life for thousands of people. This insightful video explains how the company saved at least $250,000 and 12 to 14 weeks using the RedEye On Demand service and fused deposition modeling (FDM) 3D printing technology for only one med device prototype. It looks similar to an ordinary cinder block, but it is only a third of the weight and just as strong. Plus, it does not crack like concrete or splinter like wood, because it is made from recycled newspapers, phone books, and lottery tickets. Zach Rabon, a 1999 graduate of Texas Tech University with a degree in ecology and conservation of natural resources, is president and founder of MasonGreenstar, an alternative building company that produces a patented product called Greenstar Blox. Blox are jagged and porous, but when stacked and adhered with mortar, the walls act as insulation that is energy efficient, fire resistant, and remarkably strong. See the Lubbock construction site and learn more about the testing process.